There's always a place for fresh and frozen favorites inside the 30" wide top-freezer refrigerator with 18 cu. ft. capacity. To give you more convenient storage options above the refrigerator crisper, the Flexi-Slide bin quickly moves side-to-side. Frameless glass shelves give your food a little more elbow room for wall-to-wall storage, and electronic temperature controls let you choose the right temperature for your frozen favorites. Plus, you won't have to fill ice trays again inside the top-freezer refrigerator with the easy-to-install EZ Connect icemaker kit. 18.7 cu. ft. Refrigerator with Bottom Mount Freezer and Accu-Chill System in Stainless Steel - ENERGY STAR® is rated 4.4 out of 5 by 609. Rated 5 out of 5 by Berta from A simple and budget friendly frig for smaller spaces. ... A simple and budget friendly frig for smaller spaces. This one is well designed and operates without a lot of noise. The freezer on the bottom is a better set up than on the top. It’s missing the butter and meat drawer but the additional space gained is a good trade off. Rated 4 out of 5 by Kelly from No frills, just gets the job done.... No frills, just gets the job done. 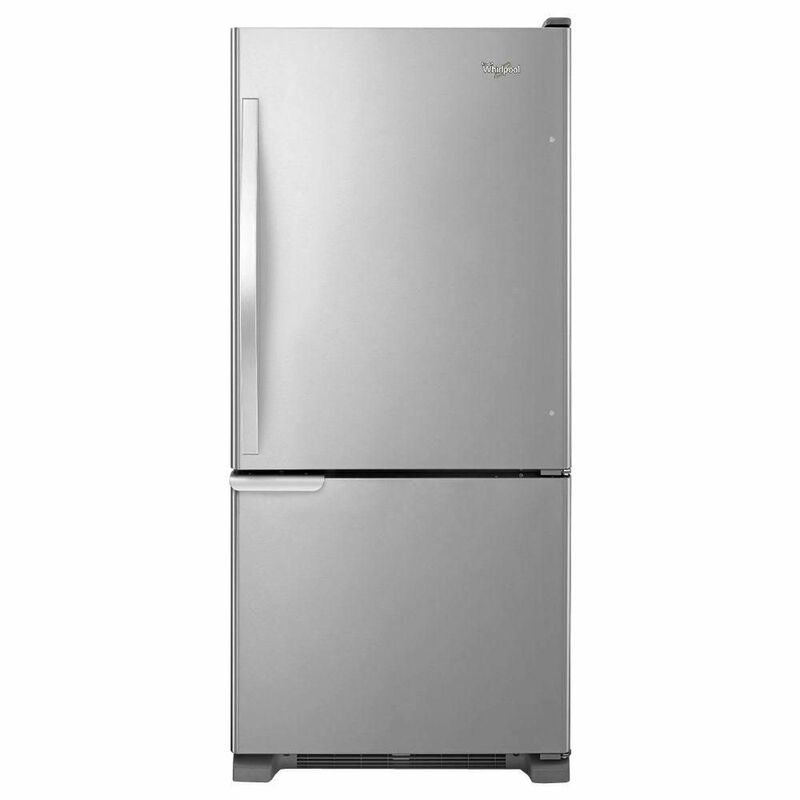 Rated 4 out of 5 by HomeDepotCustomer from The refrigerator work w well, with convenient moveable shelves in... The refrigerator work w well, with convenient moveable shelves in the door. It tends to hum but soon becomes background white nose. I am curious as to the two heights given for the fridge...one says assembled height is 67 inches and then item height is listed as 69....which is it? &nbsp;I have only a certain space to put it and need to know the EXACT height on the unit. &nbsp;Thank you . Hi Peggy, thank you for your question. The height to the top of the cabinet is 65 1/2 and the height to the top of the door hinge is 67&quot;.